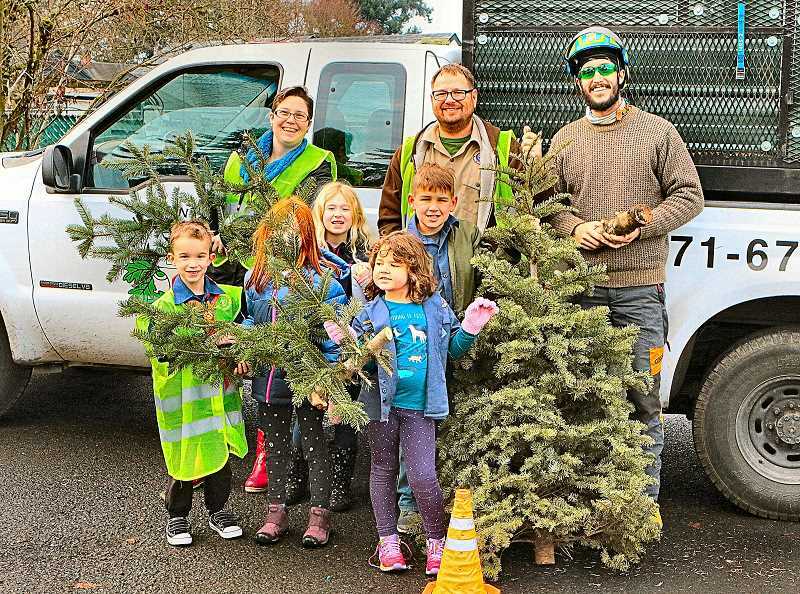 In an effort to become better-known in the community, as well as to help the environment and raise some money, the new Brentwood Darlington Cub Scout Pack 523 held a Christmas Tree recycling collection at the neighborhood's Community Center on the morning of January 5. "And, thanks to help from the neighborhood association (BDNA), we're raising funds for our Cub Scout activities this year," smiled its leader, Brian Pierce. "Additionally, it helps our youth gain 'grown-up skills' of talking to, and doing business with, adults." As cars pulled into the Brentwood Darlington Community Center, the young Scouts went to work – with a bit of help from parents and neighborhood volunteers. "It's our pleasure to partner with this group of Scouts," said BDNA Chair Chelsea Powers. "And yes, we've recycled the Community Center's tree today with them! 'The Green Man Tree Care', helped the Scouts provide this service to the neighborhood."